Please see below details of the services and breakfast being held over the Easter weekend in Teddington Parish. The Easter Breakfast will be a delicious cooked breakfast with bucks fizz. We will ask for a donation of £6 per adult and £4 per child on the day. 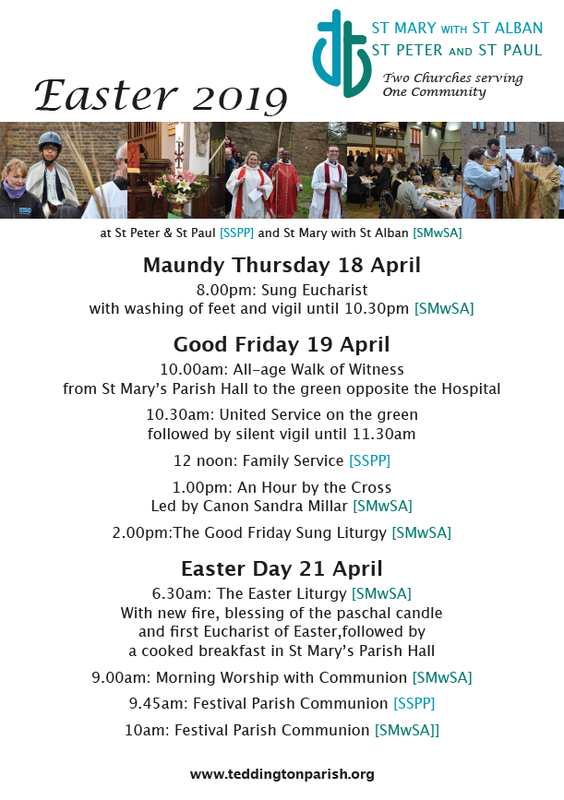 To book, please contact Suzanne in the Parish Office on 020 8943 2262 or info@stmarywithstalban.org. More details of the Walk of Witness on Good Friday are here.